As published in Inquirer Sunday Biz on December 7, 2014. Here’s a bit of trivia for the executive jet set: Philippine Airlines mounted its first flight not from the Manila (now Ninoy Aquino) International Airport, but from the City of Makati. 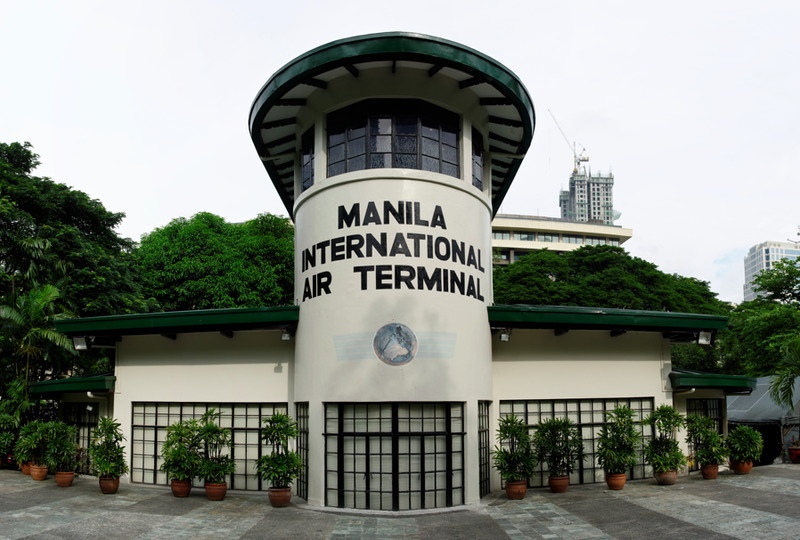 It was 1941 and the very first PAL flight, bound for Baguio, took off from what used to be the Nielson Airport on Makati Avenue. When airport operations were moved to Villamor Air Base, the property was then returned to its owners, the Ayalas. The runways were then converted into the roads we know today as Paseo de Roxas and Ayala Avenue. The passenger terminal and control tower, however, were kept intact. Today—almost 70 years later—the airport facility has come alive once again, becoming the restaurant Blackbird. The restaurant no longer feels like a terminal at all. But it is interesting to note that the bar and lounge section, right by the entrance, is where the departure area used to be, while the second floor dining section used to be the control tower. Thanks to the genius of designers Damien “Coco” Anne and wife Baby Imperial-Anne, the interiors today reek of sleek. The lounge, with its teal and purple hues and art deco pieces, could make you feel like a Gucci model should you find yourself having a cosmopolitan there. But don’t mistake the place for stylish jetsetters alone. It is also quite the venue for a power lunch, with power visitors like former Transportation Undersecretary Dante Velaso to business tycoon and possible presidential contender Manny Villar, spotted with the Ivanka to his Donald Trump, Camille Villar. That celebrities and tycoons flock to this space is not due to the design alone. There is also the exceptional menu prepared by Colin MacKay, one of the most revered chefs in the industry. fried. MacKay, however, exhibits his worldliness by merging this with the concept of the Thai Miang Kham. 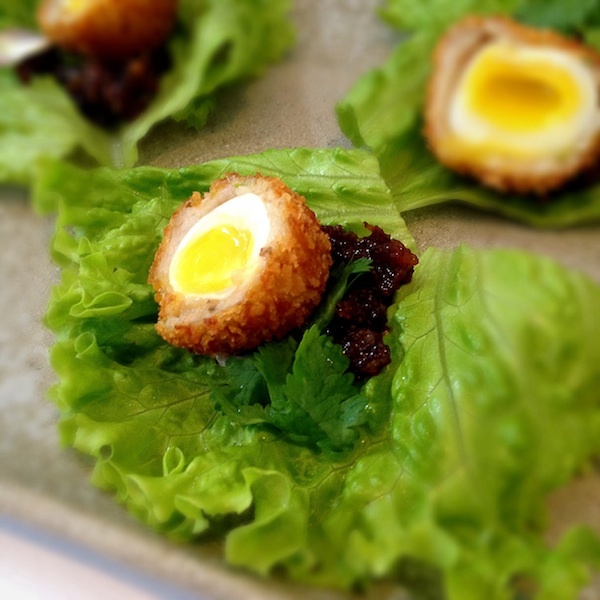 Hence the egg arrives not alone but sitting on a betel leaf, with a coconut chili sambal for extra bite. His genius is evident throughout the menu: MacKay serves crispy soft-shell crabs, a joy to eat on its own, with a delightful apple chutney and a cauliflower puree. Salad that is hearty enough with just lettuce and parmesan cheese is given a smile with caramelized pecan nuts and the light sweetness of apples, and then further given character by something the kitchen calls a “green goddess”—a sauce composed of a variety of herbs that are kept secret lest the goddess lose her mystery. 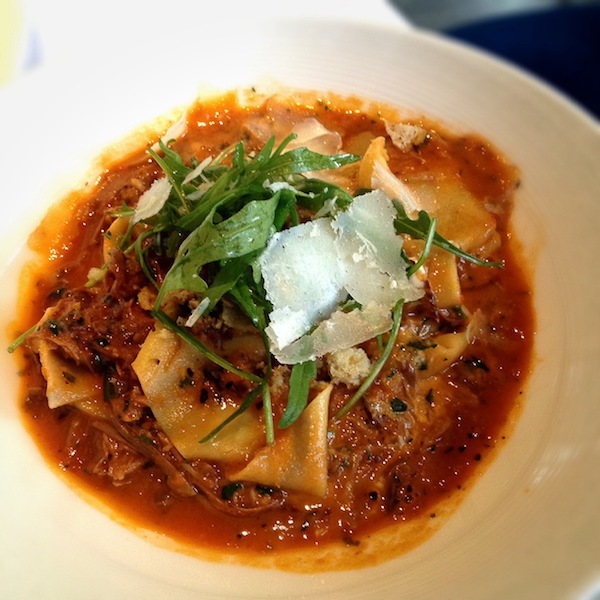 A pappardelle is made savory not with beef or lamb, but with duck. The shreds of duck meat is beautifully balanced by the chef with arugula. And a flat iron steak is served with kimchi! The mains are more on the lines of comfort food, presented in servings large enough to share. There is a generous plate of lamb rendang. The fish pie of salmon and trout is another hearty and homey dish. The great thing about MacKay is that he is confident in his stride and stands on his own. 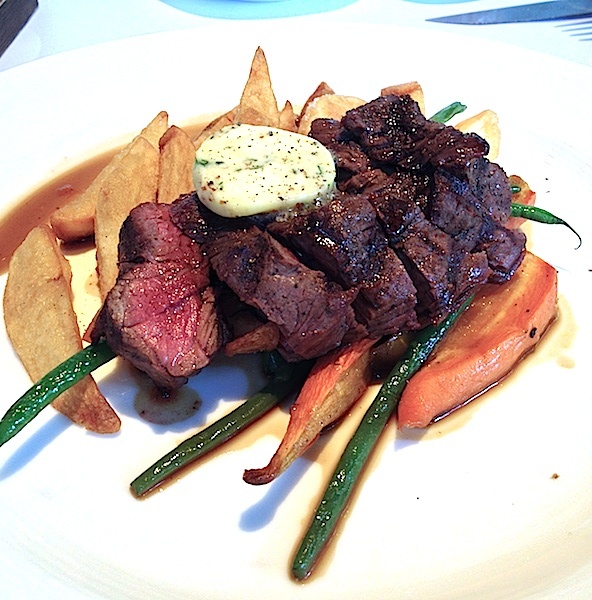 While restaurant newbies jump on the Wagyu ribeye bandwagon, he presents a hanger steak. Though a good ribeye will have the most distinguished gentleman stick his tongue out for more, MacKay proves that you don’t necessarily need this cut for a tender yet flavorful meat. The only setback is the service, which may not be good sometimes. They have rotating managers. Pray that you chance upon the alert lady manager and not the grumpy man with bad English, who is quite the snob. Also, bring a driver, especially now that the weather is often wet. There is no valet service—perplexing for such a high-brow establishment—and parking, while available in the lot right beside the restaurant, becomes limited for a weekday business lunch. On a date night, ask for the second floor. It’s far more romantic than the see-and-be-seen dining area on the ground floor. I am told the restaurant was named Blackbird by MacKay after the Lockheed SR-71 Blackbird, which held the world record as the fastest air-breathing manned aircraft since 1976. It seems MacKay shares the love for aviation of Laurie Reuben Nielson, who built the Nielson Airport in 1937. Nielson should be happy to know that the tower he built continues to stand tall in the hands of a fellow aviation enthusiast—who just happens to be a brilliant chef, as well. Blackbird. Makati Avenue cor Ayala Avenue, Makati. Reservations strongly recommended. Walk-ins accepted but they are usually fully booked. Tel. 8284888. Mobile 0917-8892782. Parking limited though there is a pay parking lot right beside the restaurant. Wheelchair accessible. Major credit cards accepted. Open daily from 11 a.m. to 11 p.m., extending to midnight on Fridays and Saturdays. Follow the author: @margauxsalcedo on Twitter, Instagram, Facebook. More in margauxlicious.com.